Université Paris V René Descartes, Faculté des sciences humaines et sociales - Sorbonne. Postgraduate certificate of mathematics (1974): University Paris VII. PhD in education (1987): University René Descartes (Paris V). Habilitation to direct doctoral studies (1994): University René Descartes (Paris V). 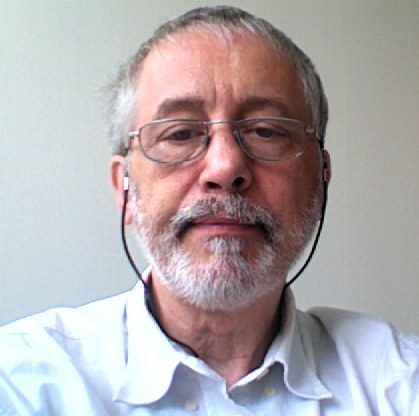 Emeritus professor of education since February 2017 at Université- René Descartes - Paris V, I have been for a long time head of research teams: the TECNE department in the French Institute for pedagogical research (INRP - see http://www.inrp.fr/Tecne/DeptTechne.htm) and, from 2009 to 2013, head of the EDA research team. I have been doing research for nearly than 40 years on ICT in education, with a special interest for teacher education. Various fields of reference are inspiring me: cognitive science, pedagogy, sociology. My main interests of rechearch are linked with the study of theprocess of integration followed by ICT innovations in educational settings. My current fields of interest are linked with students' representations and knowledge of ICT, the mutation of resources for learning and teacher education.